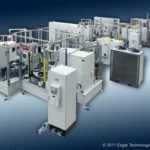 High precision welding solutions for your unique application. 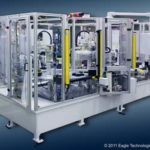 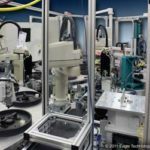 With decades of material joining experience, Eagle Technologies can offer the best and most reliable solution for your Laser Welding application. 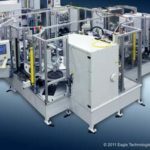 With an arsenal of solutions from real time measurement verification and precision machined fixturing our laser welding solutions can meet the most intensive tolerances. 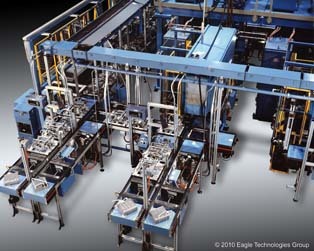 Our custom solutions are engineered, built, and run-off within the walls of our over 100,000 square foot facility. 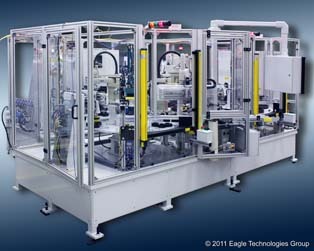 If a special custom solution is not what you are looking, then look no further. 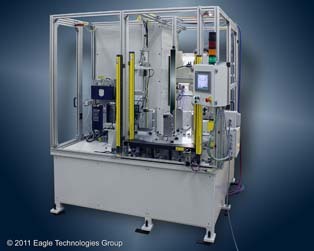 Eagle Technologies can offer a standard Laser Welding Flex Cell. 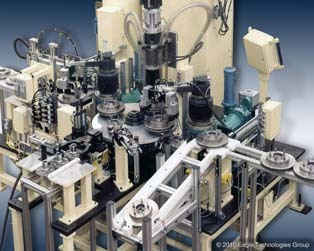 This is a machine that can be set-up for product testing and lab environments. 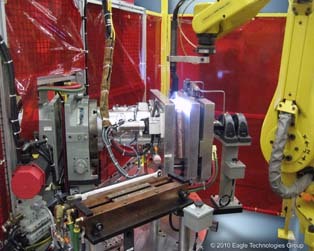 Contact us today and lets talk about your laser welding application.